On the 26th (Tue), you'll have a packed day of sightseeing: stroll through Ponta Verde Beach and then kick back and relax at Praia de Pajucara. To see maps, reviews, photos, and more tourist information, go to the Maceio trip planner . Curitiba to Maceio is an approximately 5.5-hour flight. You can also drive. In November, Maceio is somewhat warmer than Curitiba - with highs of 35°C and lows of 24°C. Cap off your sightseeing on the 27th (Wed) early enough to go by car to Maragogi. On the 28th (Thu), get great views at Mirante do Cruzeiro, kick back and relax at Maragogi Beach, and then see the vivid underwater world at Gales de Maragogi. To see reviews, more things to do, traveler tips, and tourist information, read Maragogi road trip planning tool . Traveling by car from Maceio to Maragogi takes 2 hours. Alternatively, you can take a bus. November in Maragogi sees daily highs of 35°C and lows of 24°C at night. Wrap up your sightseeing on the 28th (Thu) to allow time to drive to Porto de Galinhas. Start off your visit on the 29th (Fri): stroll through Vila de Porto de Galinhas Beach, enjoy the sand and surf at Muro Alto Beach, and then admire the striking features of Massangana Sugar Cane Mill. Get ready for a full day of sightseeing on the next day: enjoy the sand and surf at Pontal de Maracaipe, then see the interesting displays at Museu das Tartarugas - Ecoassociados, then explore the gorgeous colors at Natural Pools of Porto de Galinhas, and finally take in the exciting artwork at So Arte. For where to stay, other places to visit, photos, and more tourist information, you can read our Porto de Galinhas trip site . Drive from Maragogi to Porto de Galinhas in 1.5 hours. Alternatively, you can do a combination of bus and shuttle. Expect somewhat warmer evenings in Porto de Galinhas when traveling from Maragogi in November, with lows around 28°C. 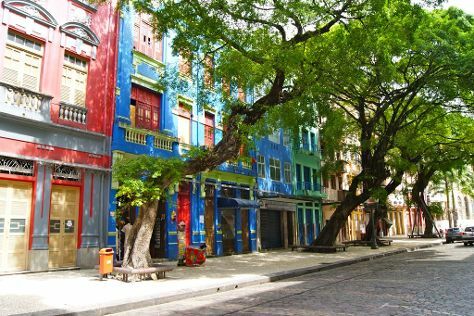 Finish up your sightseeing early on the 1st (Sun) so you can go by car to Recife. Kick off your visit on the 1st (Sun): enjoy the sand and surf at Boa Viagem Beach, then appreciate the extensive heritage of Recife Antigo, then see the interesting displays at Instituto Ricardo Brennand, and finally see the interesting displays at Fundacao Joaquim Nabuco. On the 2nd (Mon), you'll have a packed day of sightseeing: examine the collection at Oficina Ceramica Francisco Brennand, pause for some serene contemplation at Capela Dourada, then take in the spiritual surroundings of Kahal Zur Israel Synagogue, and finally make a trip to Praca do Marco Zero. For other places to visit, photos, where to stay, and tourist information, go to the Recife trip site . You can drive from Porto de Galinhas to Recife in an hour. Another option is to take a bus. 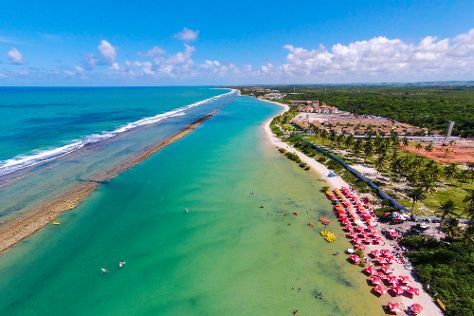 December in Recife sees daily highs of 34°C and lows of 29°C at night. Cap off your sightseeing on the 2nd (Mon) early enough to go by car to Joao Pessoa. On the 3rd (Tue), kick back and relax at Praia do Jacare, then enjoy the sand and surf at Tambau Beach, and then take in the architecture and atmosphere at Igreja Sao Francisco. To see maps, traveler tips, and more tourist information, refer to the Joao Pessoa holiday builder . Getting from Recife to Joao Pessoa by car takes about 2 hours. Other options: fly; or take a bus. 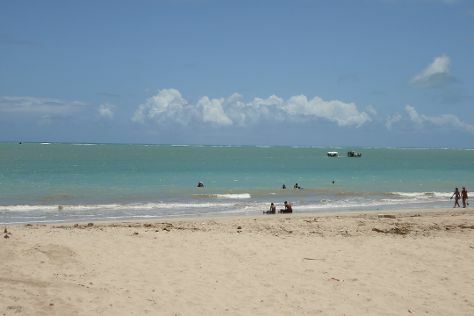 In December, daytime highs in Joao Pessoa are 35°C, while nighttime lows are 27°C. Finish your sightseeing early on the 3rd (Tue) to allow enough time to drive to Natal. 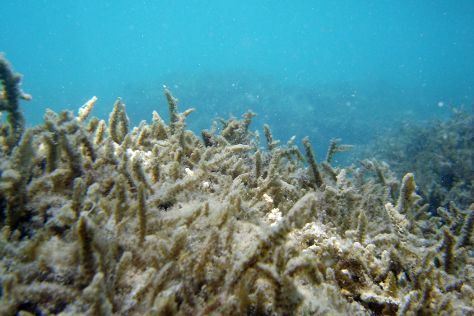 Start off your visit on the 4th (Wed): see the vivid underwater world at Parrachos de Maracajau and then explore the striking landscape at Dunas de Genipabu. On the next day, admire the majestic nature at Dunas Park and then enjoy the sand and surf at Ponta Negra Beach. To see where to stay, traveler tips, photos, and tourist information, go to the Natal route maker app . You can drive from Joao Pessoa to Natal in 2.5 hours. Alternatively, you can do a combination of train and bus; or take a bus. In December, daytime highs in Natal are 35°C, while nighttime lows are 28°C. Wrap up your sightseeing on the 5th (Thu) early enough to travel back home.